There’s something about the word ‘preferred’ that puts a smile on your face. It conjures up images of better treatment, faster service, and lower rates. It’s the antithesis of the ordinary, everyday, common experience. But is that the case if you’re an investor? Should preferred stock get an allocation in your equity portfolio? 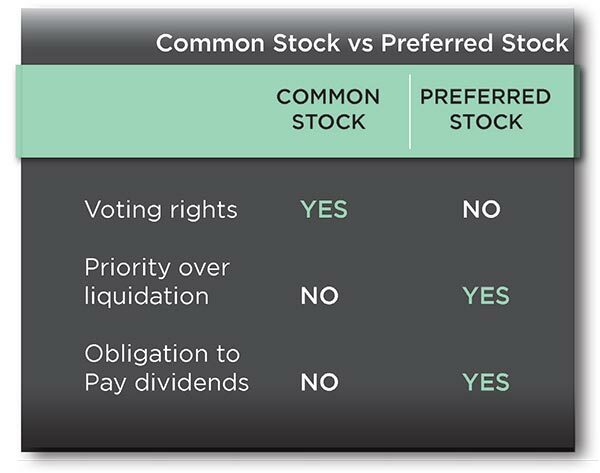 In some ways, preferred stock resembles common stock. For example, both types give you an ownership stake in the issuing corporation and the right to share in its profits. And you can sell both preferred and common stock in the secondary market whenever you please. But the differences between the two vehicles are more striking than their similarities. Preferred stocks were not on the radar of most investors until just a few years ago. When bond yields began to fall, investors started to hunt for yields in other places, thus discovered preferred stocks. 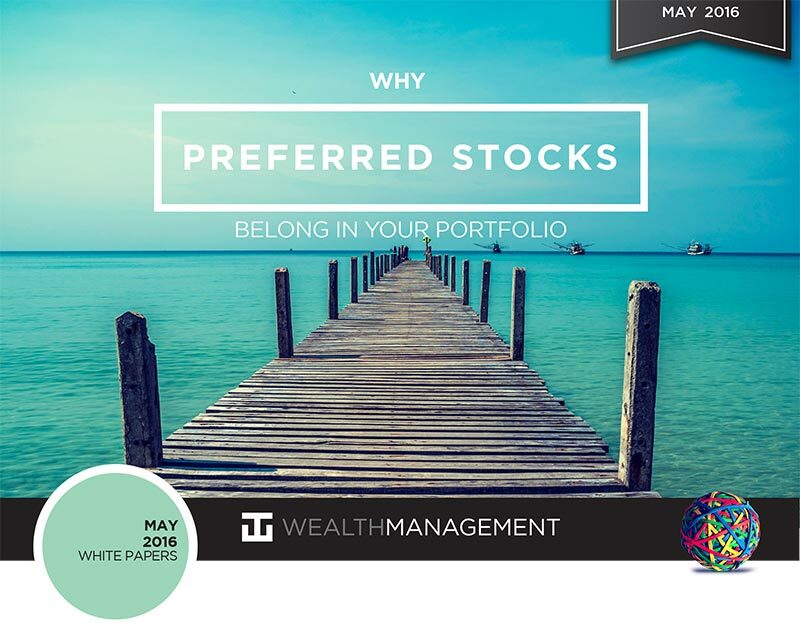 But what exactly are preferred stocks? What advantages do they offer investors? And why do they belong in your portfolio? The big attraction of preferred stocks is their dividend yield. Most pay above 5% annually, and can pay 8% or more. As a result, some trade above the par value at which they were originally issued, because investors are willing to pay a bit more than par to obtain the higher yield. Most preferred stock provides regular income in the form of a dividend, which must be paid before any dividends are disbursed on the corporation’s common stock. The dividend is not linked to the company’s profitability the way common stock dividends are, so the amount is usually fixed at issue, hence does not increase or decrease later. In some cases, the corporation may issue participating preferred shares. In this case, preferred shareholders receive an additional payment if the dividend on its common shares is more than the preferred dividend. Equally important, if the corporation cannot pay preferred dividends on schedule, they usually accrue until the company is once again able to pay them. Not so with common stock dividends, which may be cut or eliminated if the issuing company is having financial problems or decides to use its profits in other ways. When it comes to tax treatment, however, common stock has the advantage, because its dividends are usually taxed at your long-term capital gains rate: 15% maximum. By contrast, most preferred stock dividends are taxed at your regular ordinary income rate. IS NOW THE TIME FOR PREFERRED STOCKS? Lately, I’ve been often asked whether preferred stocks will remain an attractive asset class in a rising-rate environment. While preferred stocks may, indeed, see price declines as traditional long-term bonds would, the losses may be more than offset by the potential yield. Additionally, because we expect the rate rises to be gradual, we wouldn’t expect to see big downward spikes in preferred prices. Preferred stocks may also be attractive because they are issued mainly by financial companies, like banks. That is because banks have historically tended to do well in rising-rate environments, as they can benefit from making loans at higher interest rates. When we search for yield, preferred securities end up in nearly every WT Wealth Management portfolios, we add preferred stocks in a variety of formats: exchange-traded funds (ETFs), mutual funds, closed-end funds, and even individual issues. 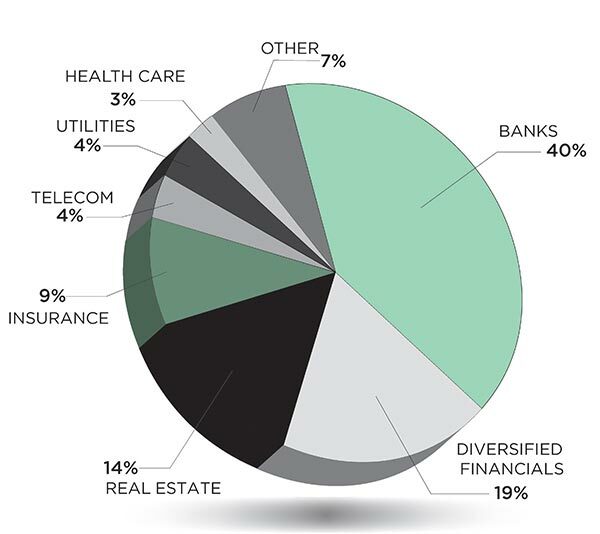 As you can see, from the pie chart to the right, banks and financials make up a big chunk of the iShares US Preferred Stock ETF (symbol: PFF). One of our favorites, this ETF had a 5.79% yield as of May 2, 2016. As we mentioned earlier, rising interest rates may not affect preferred shares as much as one might think. The attached graph shows the sector weights for the iShares US Preferred Stock ETF (PFF). Banks make up as much as 40.4% of the ETF. Financials as a whole make up ~68% of the fund. Now, financials tend to do well when interest rates rise, and rates usually rise when the economy improves. Given the cyclical nature of financials, rising interest rates would actually benefit them — especially banks, as explained previously. Banks’ profitability has been hurt since the Great Recession of 2007-09, as interest rates remained at record lows throughout that time and low rates even persist today. However, as the Federal Reserve gets ready to raise rates for the first time in ten years, banks may see increased profitability, which would positively affect preferred stocks in our opinion. As with any investment decision we make, the bottom line is whether the potential return on a specific security justifies the risks we take in owning it. With preferred stocks, we like the risk/return profile. And, with a 5.79% yield more than three times the current yield of the 10-year treasury, we believe that nearly all investors should have an allocation to this misunderstood asset class.